Nice, France is a city study of contrasts and contradictions. Easy to love and easy to dismiss, Nice requires patience, curiosity, and willing leg stamina for the payoff. If you visit, and it is a city worthy of diversion, make an effort to dive below the gauzy surface and the soulful side of this French-Italian port town will start to emerge. We’ve been spending a few days here, my 3 kids and I, as a local escape to the sea from our landlocked base in Aix-en-Provence. The journey by slow train was breathtaking, winding through seaside towns like Antibes and Cannes, the warm Mediterranean just meters to the right, the snow-capped Alps standing majestically to the left. We’ve opted for an AirBnB apartment facing the sea, which is a worthy consideration. 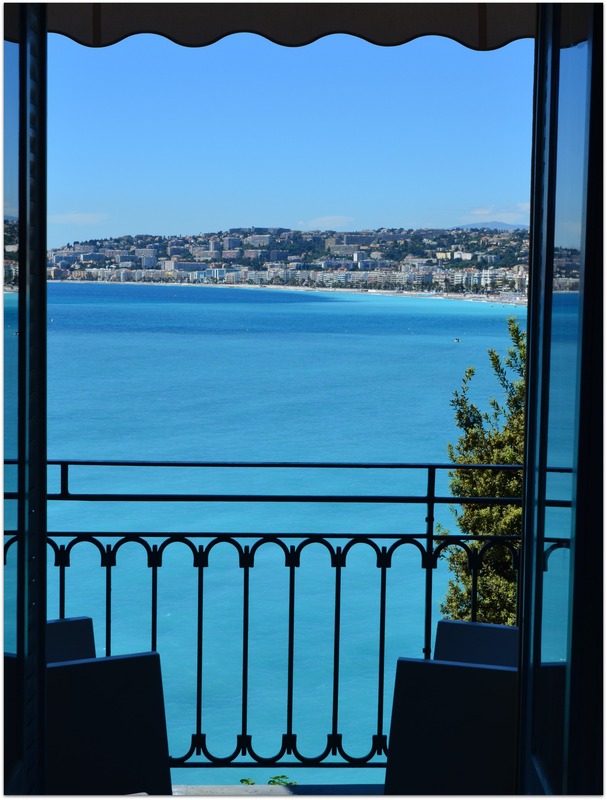 For less than half the price of a small room at the opulent Hotel Suisse next door we have beds for 4, a workable kitchen, and sweeping views of the azure Mediterranean. And why go to Nice if not first for the sea? The market square in the city’s Old Town can be a deflating experience in the spirit of Fisherman’s Wharf in San Francisco; a tourist mass tripping over itself with cameras and fanny packs, eager to lap up overpriced gelatos and the mediocre seafood being hyped by street side barkers. But a diversion up one of the many tight and confusing alleys in the neighborhood reveals authentic shops servicing the local residents. I am struck in particular by the abundance of small butcher shops, fish stalls and tiny cafes tucked here and there. 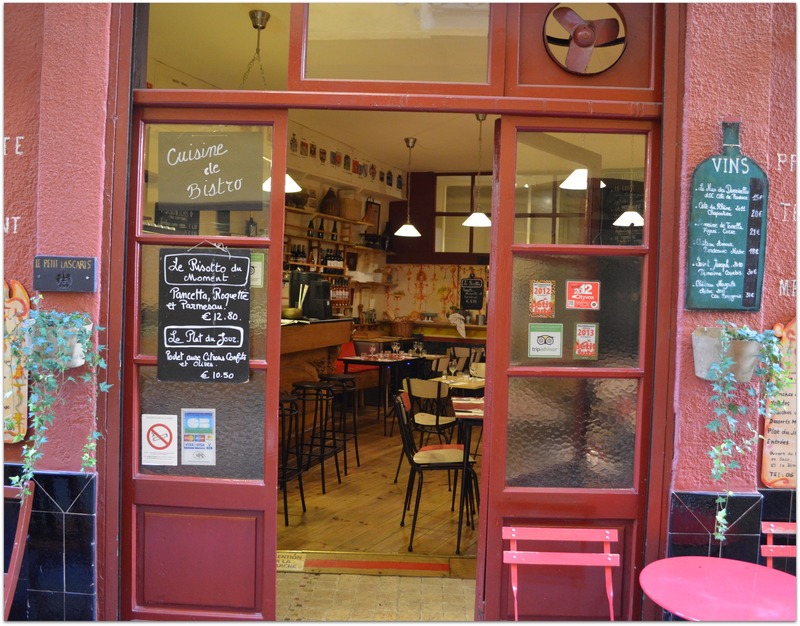 Take an espresso at Cafes Indien (seeking it out will be half the fun) and watch the mix of local Niçeois and visiting sightseers meander through the passage. Alleys like this are where the native colors of this historic neighborhood start to emerge. Hikes beyond Old Town are required to get a more honest impression of this city and these reveal a greater diversity of style, color, and community than our hometown of Aix-en-Provence. Nice was part of Italy until 1860 and this influence is evident in the architecture and varying pastel tints that are so soothing in the Mediterranean sun. Aix is an elegant town of 17th and 18th century baroque townhomes rendered in shades of local sandstone; bourgeois and exquisite. Nice offers the old and the new, the grand and the humble, with modern apartment buildings of glass and steel scattered amongst historic structures. With its palm tree-lined boulevards Nice gives off a relaxed vibe of Southern California cool; chic and dynamic. We’ve had no problem uncovering charming, distinctive restaurants during our stay here. After taking early evening drinks in the Old Town plaza – predictable dining but excellent people watching – we’ve ventured beyond for dinner options less touristic. La Luna Rossa and La Merenda have been outstanding, but my personal favorite has been Luc Salsedo, both for its inventive culinary approach and incredibly friendly service. All 3 are well worth seeking out; reservations suggested. 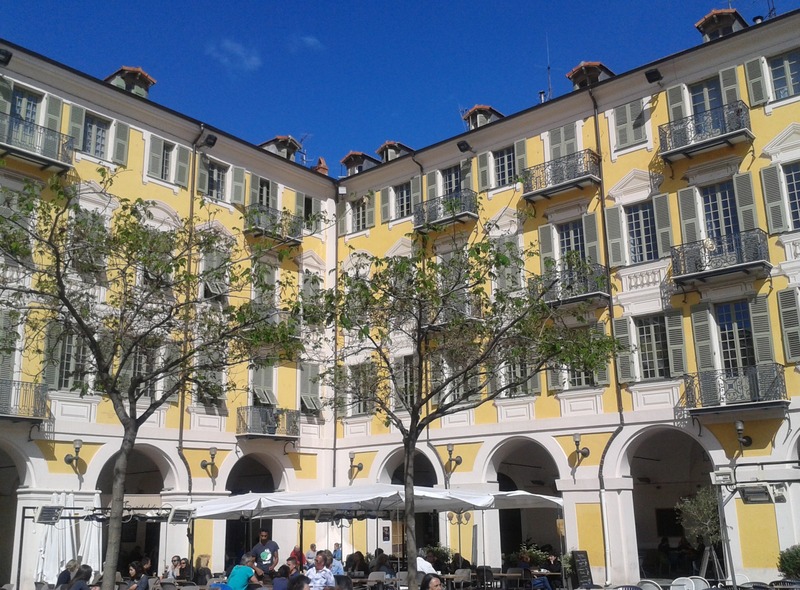 Nice has much more to offer than mentioned here – it’s museums, for example, are world class – but traveling with kids dictates a different itinerary, one of skateboarding (excellent along the seaside Quai des États-Unis), beach sitting and smoothy seeking. To those pursuits my 3 junior critics give it thumbs way up. If fortunate enough to find yourself along the Cote d’Azure this summer give Nice a try. Exquisite descriptions of Nice! I was there with every word. It brought back memories of my brief visit in the early 80s.